Giveaways, Bashes and New Products! I will be in some upcoming giveaways during the month of August at http://www.momdot.com/ and http://www.shakethesalt.com/ Be sure to check out both of these great new sites that will be doing daily giveaways all through August!! I will give away a clipboard at MomDot and a frame at Shake the Salt. As an extra incentive, print out THIS BLOG ENTRY and receive 15% off one Blessings and Bows item (one coupon per person)! Yes, tonight's blog is actually a coupon!! Just bring it with you to the party on August 7th and pick out or order something for yourself or for a gift! This offer is only good on August 7th during the Blogger Bash, may not be combined with other discounts/offers, must be presented in person and can only be used once. I will try to remember to post a reminder about the bash and the coupon next week before the event!! Stop by my Blessings and Bows Etsy store and check out some new items that I listed tonight! I am super excited to now officially offer legal sized clipboards! As time permits, I will be debuting new designs in the coming weeks! Check back often! Angie had me make this custom frame for her living room! It was so fun to make!! Here is Judy's custom monogram clipboard in our Pink and Chocolate Boutique Pattern on our FIRST EVER legal size clipboard!! Stay tuned for more giveaways, including one on momdot.com next month! I am in the process of working up some new designs for the legal size clipboards! Have lots of papers? Not to worry! Our fun NEW designs and even your monogram will still look cute, while you stay organized! I hope to have some new products/designs up next week!! Some will be making their debut at the Blogger Bash on August 7th in Edmond, OK!! Welcome to Blessings and Bows! I am so excited to take part in the Tip Junkie 20 day birthday bash giveaway!! Thanks to Laurie for hosting this special event! I am happy to be the Friday giveaway! I will be giving away a legal sized clipboard in my Boutique pattern, that features chocolate brown and pink along with your initial of choice! This is a NEW size that we will be offering soon! The winner will receive the first-ever legal sized Blessings and Bows clipboard!! Laurie has asked me to share my 3 favorite Blessings and Bows products with you! So, here they are! This giveaway is for Friday, July 18th over at Tip Junkie! Please check out the Tip Junkie blog for details on how to win a Blessings and Bows clipboard! Thank you so much for stopping by!!! 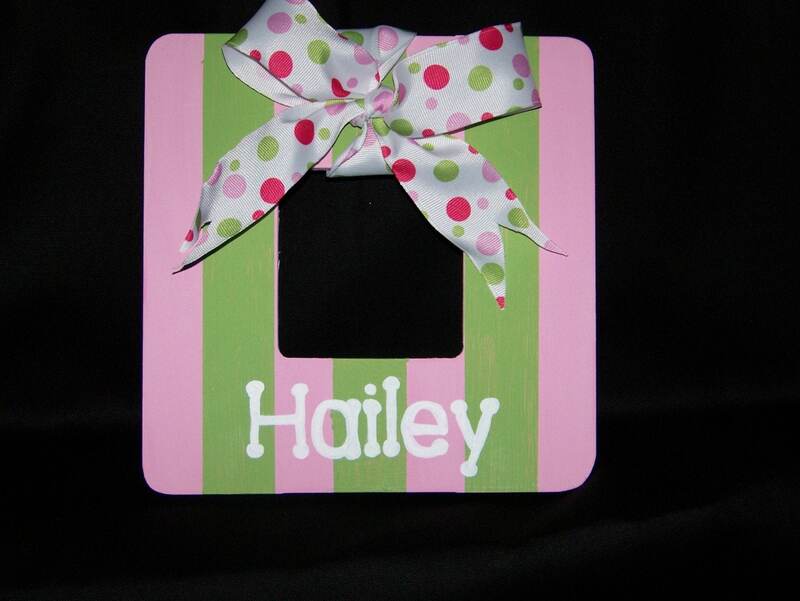 Be sure to check out my Etsy store (http://blessingsandbows.etsy.com/) for more fun design options for clipboards, picture frames, letters and crosses! Please check Tip Junkie on Friday for a special Blessings and Bows giveaway!! We will be giving away a custom monogram chocolate brown and pink Boutique Clipboard!! This clipboard will be our new legal sized board! They will be for sell very soon!! Be sure to spread the word about the great Tip Junkie giveaways!! So many possibilities for Blessings and Bows' custom frames!! Welcome to the official Blessings and Bows blog! Here you will find out about our newest additions, sales and discount specials! We also love to feature crafters who have creatively used ribbons and bows in their designs. If you would like to be featured, please email me your name, store name, website and a personal and work bio, along with a few items (pictures, etc) that you would like us to highlight! We look forward to learning about your creation! Wife to an amazing husband, Mommy to three adorable littles, all under the age of three! I survive my days as a SAHM with decorating, coffee, organizing, playing with the family, baking, crafting, having playdates, and working towards a closer relationship with God. I have a big heart for foster care/adoption! I am an imperfect perfectionist who strives daily to improve my role as wife, mother and child of God.